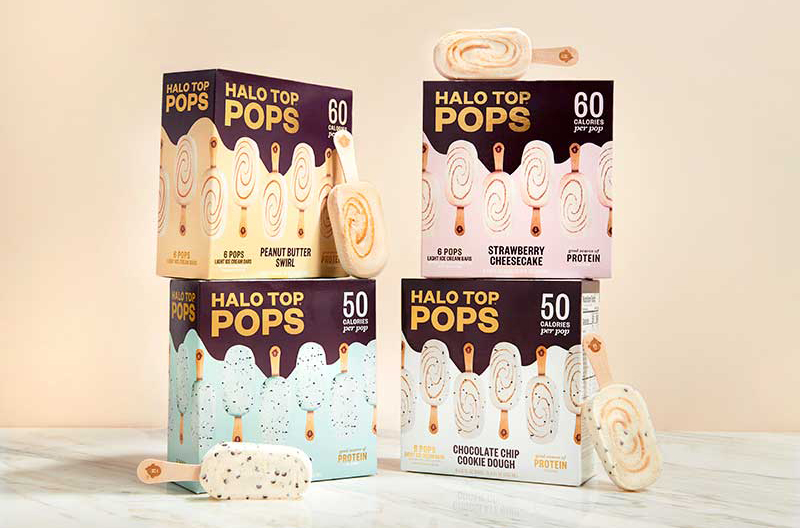 Halo Top Creamery is introducing Halo Top Pops—snackable mini ice cream pops that come in four flavors packed six to a box. The portion-controlled Halo Top Pops contain 50-60 calories per pop and are low in sugar and a good source of protein. The pops are launching in four flagship flavors, including a brand-new Halo Top flavor, Strawberry Cheesecake. In addition, fans nationwide have the opportunity to engage in this experience online and be the first to sample Halo Top Pops for free. On Feb. 14, Halo Top is offering 1,000 fans one free box of Halo Top Pops with the code HALOTOPPOPS at checkout.